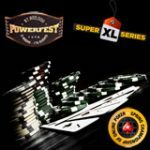 The PokerStars MicroMillions II is scheduled to take place from 12th - 22nd July 2012, the low stakes poker tournament series features buy-ins ranging from $0.11 up to $22. 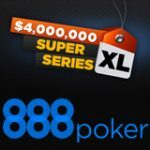 There are 100 online poker tournaments in the series, play for your share of millions in guaranteed prize pools. Micro stakes poker players can take advantage of the low buy-ins and great value this series has to offer. 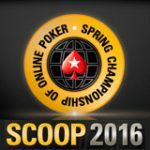 Sign-up for a free Pokerstars account and double your deposited amount up to $600. The Pokerstars minimum deposit is only $10 making online poker affordable for causal poker players. 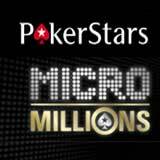 The PokerStars MicroMillions II returns this July with 100 events scheduled to take place daily from 12 - 22 July 2012. 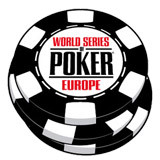 There are up to 10 daily tournament providing non-stop poker action throughout the series. 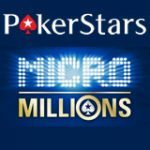 The PokerStars MicroMillions II schedule has been announced with a few small changes to the popular online poker series. 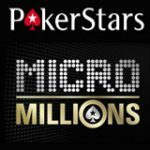 Start qualifying for your seat to the MicroMillions 2 in the daily Pokerstars satellite tournaments. Download Pokerstars - use the Pokerstars marketing code when signing up for a free account. Get a 100% first deposit bonus up to $600, use Pokerstars bonus code STARS600 when making your first deposit. 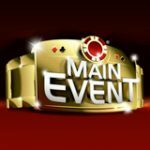 Events are subject to change by pokerstars.